Welcome to the 3 stall Cranebrook floor plan in the Jim Tibbe Homes Hidden Ridge development. This location is tucked away yet close to shopping and easy access to M-6. 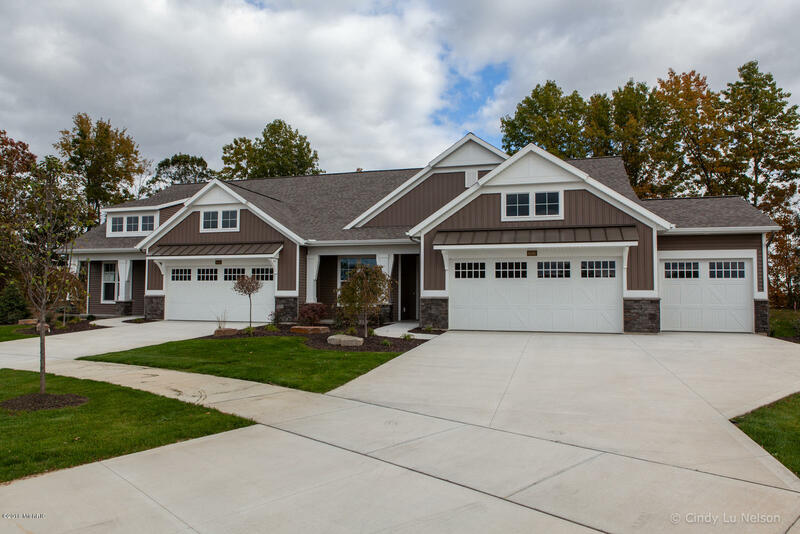 Some features include no step entry, 3 stall garage, 9 ft ceilings, open floor plan, Michigan room with deck, gourmet kitchen with walk in pantry, stainless steel appliances, and quartz counter tops. The lower level walkout is ready to finish and could include a family room, additional bedroom, bath and includes storage galore. See pictures for samples of what's been done at other locations. This floor plan is perfect for entertaining or to just call home. Pictures of interior selections in documents area.